You just took a job at a fish store, and your demanding boss wants you to learn to scoop fish. 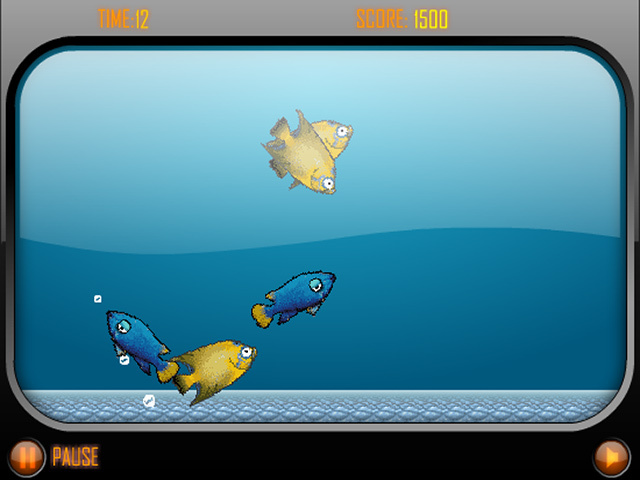 Grab your net and try to scoop the blue fishes out of the tank as quickly as you can in Aquarium Scoop Hotshot. Use your mouse to control the net. 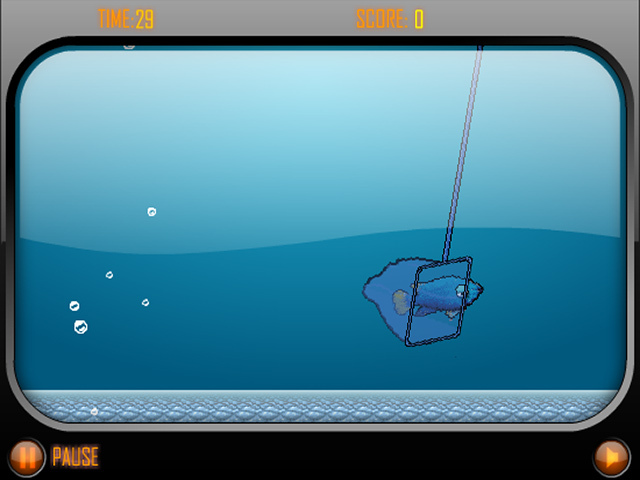 Hold the button to start the scoop and release when you are ready to lift the net out of the water. 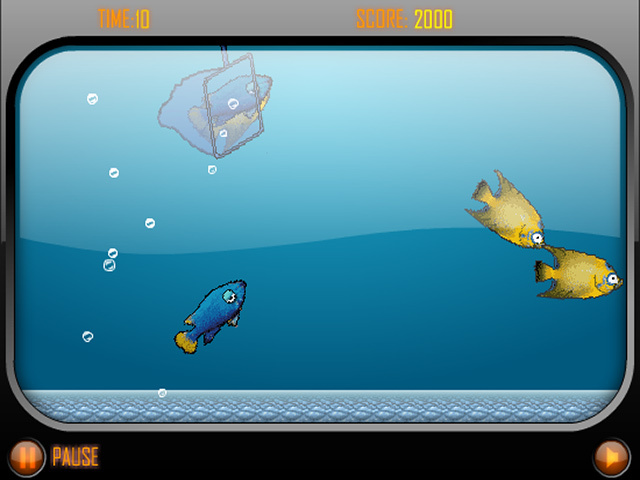 Unlock new fish and special features as your fish-scooping skills improve. Scoop all the fish and you win the aquarium and the title of super scooper! Can you be the super scooper?